The top 10 most popular Dota 2 heroes in the off lane during 7.17. We will have a look at some of the best picks in the meta, and learn how to play or counter them. Top 10 mid lane heroes. Top 10 safe lane heroes. The heroes are arranged by pick rate, and the data considers all games played in any region in the 5k+ (Divine) bracket. Note that we can’t filter data for 7.17 only, so the past 30 days are examined. Statistics from Dotabuff. Skywrath Mage is an excellent partner in an aggressive duo lane thanks to Arcane Bolt, a low cooldown nuke he can spam for the entire duration of the lane phase. With a suitable amount of Clarity potions, he can transform the life of the safe laners in a true hell. The Magic Stick as soon as possible as you will get lots of charges. An extra Tango can help you against his initial harassment for just 90 gold. It may be worth investing in an early Cloak to reduce the magic damage, especially if later on your hero will build the Hood of Defiance. Rush the Ring of Health if your hero will get the Battle Fury, Linken’s Sphere, Hood, etc. I advise to not buy the Infused Raindrop. They are great usually, but Skywrath Mage will deplete the 5 charges very fast. If you are the carry, and can’t secure a kill, do not waste time harassing him, and focus on farming. Eventually, a support or the ganker will rotate in your lane, and you will get your revenge as SM is a very squishy hero. Heroes with natural sustain or magic resistance are the best choices to counter Skywrath Mage during the lane phase. Dragon Knight possesses passive health regeneration via Dragon Blood - 2 or 3 levels and a quick Cloak will be enough to deal with SM. Anti-Mage should prioritize Spell Shield to reduce the incoming magic damage, and buy the Ring of Health for HP regeneration. With those, he can essentially ignore his harassment. Huskar gets up to 50% magic resistance with Berserker's Blood, and can easily outdamage and even kill Skywrath Mage with Burning Spear. Viper is the one of the best counters. As Huskar, he can trade hits and often have the upper hand in the confrontation. Corrosive Skin alone is plenty to win the matchup because it gives you magic resistance and damages the opponent, wasting all SM’s Clarity potions. You can’t really do anything about them, but you must know that Skywrath Mage is the most used hero by cheaters - over 6% of the matches played with this hero had a cheater according to gosu.ai. These are not official data, but they tested a sample of over 330k games a few months ago. Below, Merlini shows a potential cheater on Skywrath Mage that he encountered. Valve recognized the problem caused by cheaters and scripters, and is actively working to eliminate this plague. We have issued another wave of permanent matchmaking bans to players who were abusing cheats (e.g. auto-hex scripting). Underlord and Clockwerk dropped from the top 10, and have been replaced by Skywrath Mage and Legion Commander. Many heroes in this and the old list have been affected by adjustments in the latest patch, let’s have a look. Level 20 left talent: Replaced attack Tethered ally's target with +20 health regeneration. Level 25 left talent: Replaced +50 health regeneration with attack Tethered ally's target. You can’t get anymore both the attack talent and the reduced Relocate cooldown, which inhibits some late game tactics. But, the main problem with the talent replacement is that Io doesn’t reach level 25 in most games, so the teams can’t exploit the attack talent as much as in the past. The +20 HP regeneration added at level 20 is useful, and overall these changes have not been enough to undermine the hero's pick rate. In 7.17, IceFrog kept nerfing Io with more drastic adjustments. Reduced Spirits explosion damage from 25/50/75/100 to 20/ /60/80. Io has five spirits that explode upon contact, damaging and slowing the target for 0.3 seconds. In total, you can apply a 80% movement slow for 1.5 seconds, permaslowing the opponent long enough to escape from a nasty situation or help your team during a gank. Considering the disable, a 500 magic damage nuke is too much, and even now 400 (80x4) damage once maxed out is still very powerful. During the lane phase, a good Io with the Soul Ring can consistently harass the adversaries with this ability, and force them outside the experience range. Reduced Tether movement speed bonus from 7%/10%/13%/16% to 5%/8%/11%/14%. 2% at all levels is a legit change, and I believe the ability is balanced now. Cr1t and GH on Io. Level 10 left talent: Reduced attack damage bonus from 60 to 45. This is a very weird nerf because you want the other level 10 talent in most cases; 25% experience gain. Io needs to level up as soon as possible to unlock his juicy talents, and as a support with no real farming abilities he can’t earn much experience on his own. Level 20 left talent: Reduced health regen bonus from 20 to 15. The level 20 talent has been nerfed again. Note that the health regeneration bonus was originally 20 when the talent system was introduced in 7.0. Overall, these changes (especially the Spirits' explosion damage) have an impact, but the hero is still too strong in a competitive and high rank environment, so I am expecting even more nerfs in the successive patches. A massive nerf to his lane phase because the hero has almost no armor now. 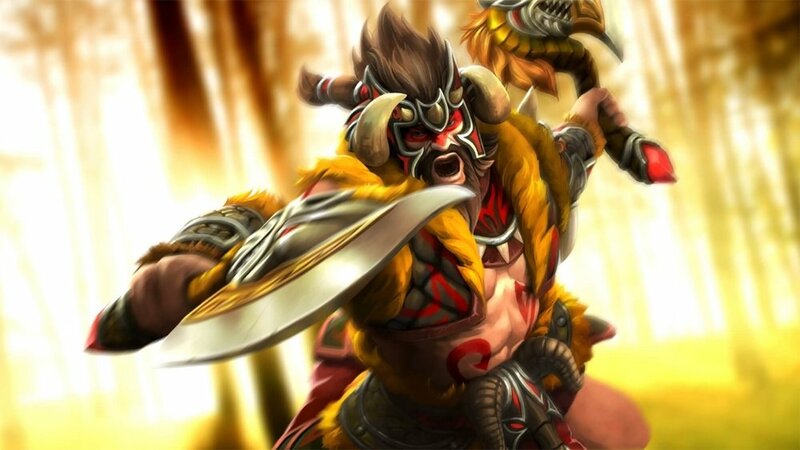 Beastmaster is an amazing hero that can win the off lane on his own. He has a 305 movement speed, 717 health points, and a 64-68 attack damage at level 1, plus Wild Axes. The ability itself doesn’t inflict a lot of damage (damage per axe: 30/60/90/120), but it amplifies your own damage against the targets affected (damage amplification per stack: 6%/8%/10%/12%). Trading hits against Beastmaster is really hard. Most heroes can’t face him, and are even forced out of the lane, losing experience and last hits. Now, he has only 1.8 armor at level 1, which makes him more vulnerable to physical harassers. Fixed Rolling Thunder having no effect on units like Primal Split Brewlings and Ancients neutrals (still doesn't affect roshan). The ability should have worked in that way already. We can consider it a small buff. Base damage reduced by 3. Caustic Finale slow reduced from 21/24/27/30% to 15/20/25/30%. I talked about Night Stalker's 7.16 changes in the previous top 10 and in the May Competitive Hero Tier List. Crippling Fear cooldown increased from 12 to 24/20/16/12. Void cooldown increased from 8 to 11/10/9/8. The latter isn’t a big deal, while the former is a huge nerf. Crippling Fear is an excellent skill because at night it can completely disable a hero for 5/6/7/8 seconds, silencing them and applying a 50% miss chance to their attacks. 24-20 seconds at level 1 and 2 are really a lot, and you might not be able to use it more than once during the early ganks. Even after this nerf, I am sure the hero will remain popular. Night Stalker has great stats, the vision reduction at night is helpful (even if extremely nerfed), and Void is an outstanding nuke (90/160/255/335 damage). NS is a perfect predator at night. Similarly to Beastmaster, Clockwerk can dominate the lane phase, so Valve is trying to reduce his supremacy. Not much will change with this nerf as they must act on his mana pool and spells to weaken the hero. The top 10 most popular Dota 2 heroes in the off lane during 7.16. We will have a look at some of the best picks in the meta, and learn how to play or counter them. The top 10 most popular Dota 2 heroes in the mid lane during 7.17. We will have a look at some of the best picks in the meta, and learn how to play or counter them. The top 10 most popular Dota 2 heroes in the safe lane during 7.17. We will have a look at some of the best picks in the meta, and learn how to play or counter them. The top 10 most popular Dota 2 heroes in the mid lane during 7.18. We will have a look at some of the best picks in the meta, and learn how to play or counter them. The top 10 most popular Dota 2 heroes in the off lane during 7.18. We will have a look at some of the best picks in the meta, and learn how to play or counter them.